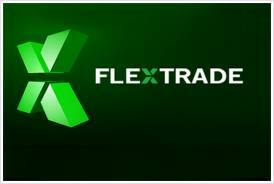 Technology provider FlexTrade Systems is furthering its concentration on the facilitation of OTC FX trading solutions to financial institutions. Today, the company announced that Singaporean financial institution,United Overseas Bank Ltd (UOB) has chosen MaxxTrader and FlexFX, the company’s white label and enterprise trading solution. In conjunction, UOB will also implement FlexTQM, which is FlexTrade’s comprehensive transaction quality management platform, for real-time and historical transaction cost analysis (TCA). Just last month, FlexTrade completed an integration with OTC Link’s ATS trading system, in order to incorporate its capabilities into existing broker-dealer workflows for clients using FlexTrade’s sell-side OMS products, further alluding to FlexTrade’s focus on increasing its presence in the OTC segment. Used as a complete FX solution, MaxxTrader, FlexFX and FlexTQM will allow UOB to cover the full trading life cycle, including price construction, distribution, trade execution, hedging, position management and post trade analysis.